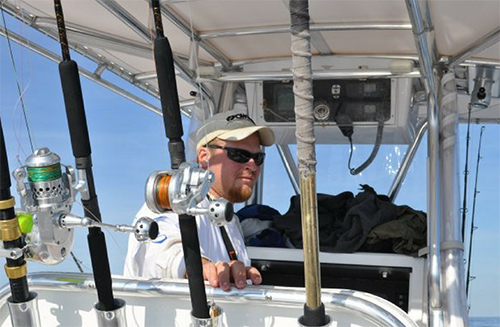 Captain Eddy Haneman is an individual that anglers need to aspire to be. Even though he passed away years ago, his legacy and contribution continue today in the Annual Eddy Haneman Fishing Tournament. The event is held at Wrightsville Beach in July each year not only as a fishing tournament, but also as a means of helping those in the community in need. This labor of love is carried out by the many people that value the Captain Eddie Haneman tradition of charity and sportsmanship. His loyal followers have taken on his love of both the sport of fishing and more importantly the love of community that has reached many area Wilmington and Wrightsville, NC residents over the years. I clearly remember attending one of the first Captain Eddy Hanneman Sailfish Tournaments a number of years ago. I watched as the winning checks were passed out and most all the winners simply signed their checks and returned them as a gift to that year’s charity. I likewise, brought out my checkbook and made a contribution. It was an emotional day for many. You see, Eddy does that to you. Just his legacy makes all want to be better people. It makes us look toward others with a bit more compassion and kindness. That legacy is the best legacy you can leave behind. I’m sure he’s looking down us all, wearing his kaki shirt and slacks with black tie on, and a smile on his face with pride in those that carry on this great tradition. 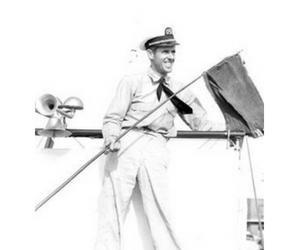 Thanks Captain Eddy! You continue to make this world a better place and for that we are all grateful. I wish I had known you. I’m sure you could have taught me a lot about saltwater fishing, but also about making this world a better place. I know I aspire to be more like you.